Cora was rescued from a life on the mountains by a wonderful woman that had watched over her and her couple of generations of litters. 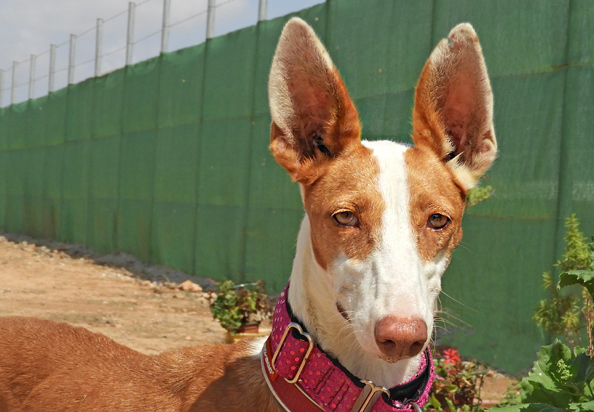 Finally caught, Cora is safe at GDS and will have no more litters. Cora is the mum of Beatie and Eddie, all others with the exception of one male, have been rescued or rehomed. Sociable and friendly now that she'd had time with humans, she has readily begun to trust and enjoy cuddles and walks. Yes, I am interested in sponsoring or adopting Cora!